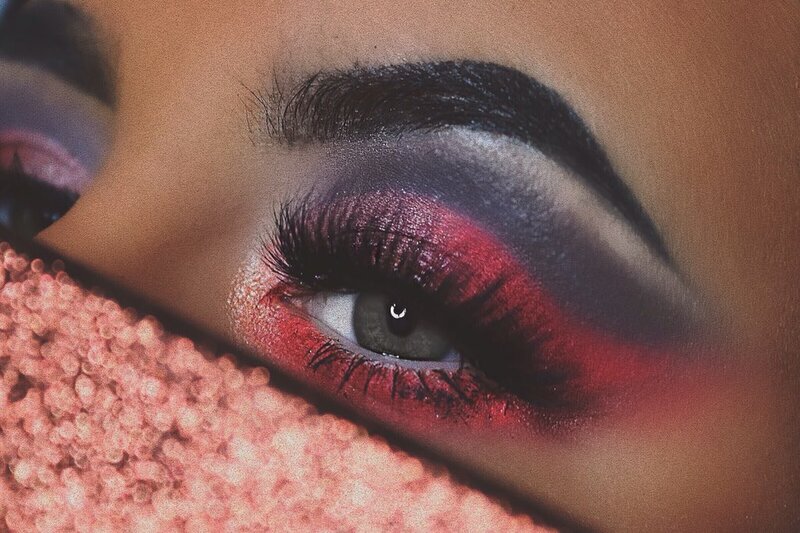 Unless you've been living under a rock, you're probably aware of this hugely anticipated launch from Anastasia Beverly Hills. The launch saw the introduction of many new products, and although I didn't get the hyped up Soft Glam palette to add to my collection (but I will get it, trust me.) I did pick up two of the new bits. I was so crazy about this new highlighter, like I was sitting at my computer all day refreshing the website waiting for it to go live and my heart sped up at checkout in pure relief that I managed to get in line quick enough. Let's not forget that this collaboration highlighter is limited edition, so sitting refreshing the site all day was totally acceptable, right? 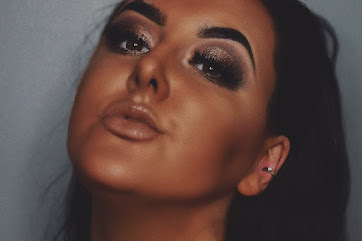 I will admit, I actually have no idea who this beauty guru/influencer is that they've collabed with on this, but that aint' gonna stop me glowing. 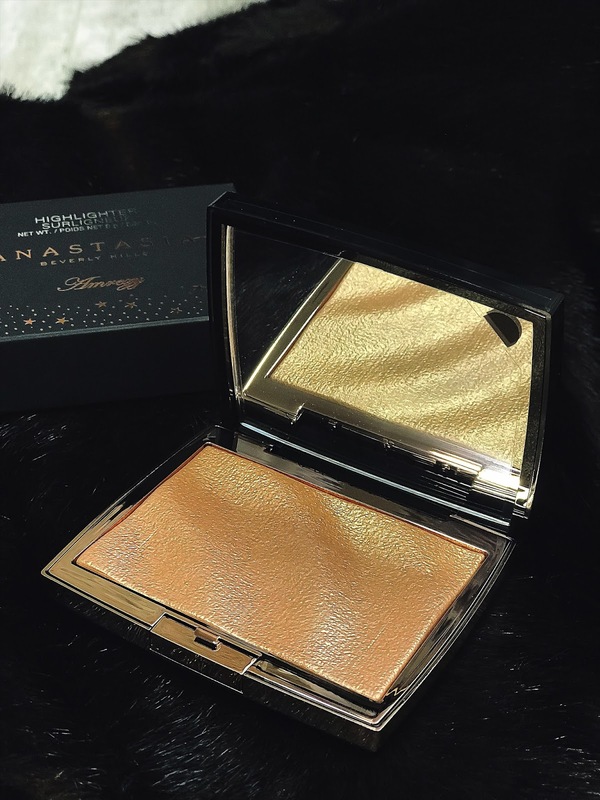 The packaging is half glossy black, and half gold - on the front of the compact is the classic ABH logo and the Amrezy signature in gold. It does look really glam and luxurious. As you can see, the pan is huge. Like, this is the biggest highlighter I own (and I own a lot of them.) Funnily enough, I just put myself on a highlighter buying ban - but that was before I knew about this launch, so I had to scrap that - I'm back on track now. Just like the compact its self, it also includes a huge mirror! I know a lot of people really rate a product with a good mirror. Not only is it beautiful on the outside, but the powder its self is something else. Isn't this just the most gorgeous thing? I am obsessed with the 'wave,' effect of the powder. It looks stunning and adds a real hint of luxe to the powder. Although not quite as exciting (or photogenic,) I picked up one of the new matte bronzers. ABH released six shades of a completely matte bronzer. I went for the shade 'Rich Amber.' Much like the highlighter, it's a very generously sized pan of product also paired with a huge mirror. The powder is super smooth and soft, and of course the pigmentation is really there. 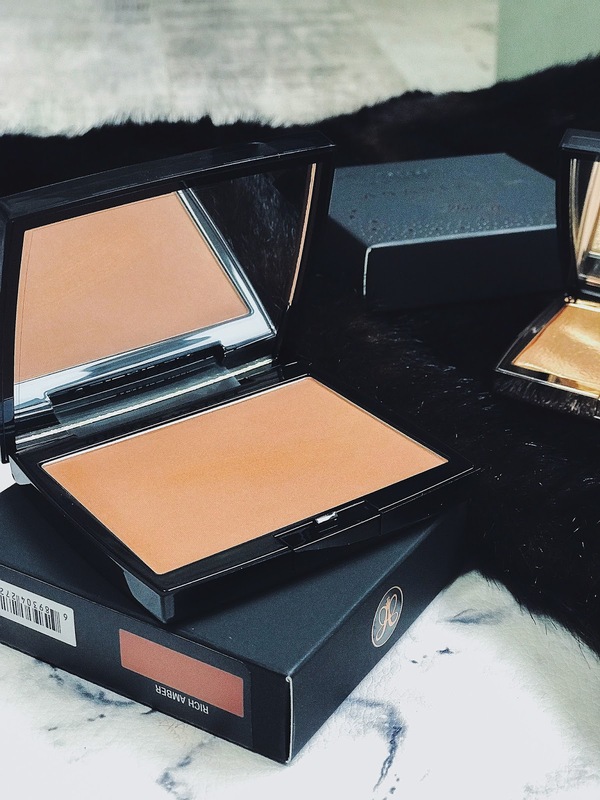 This is for sure the most matte bronzer I've ever tried, (in the best way possible.) If you pick the right shade, you might be able to use this as a bronzer and contour. 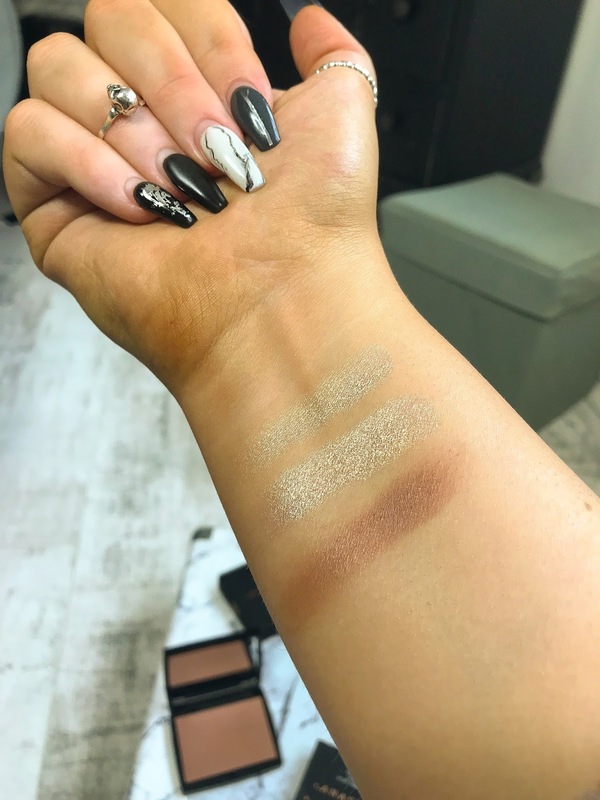 As you can see, the Amrezy highlighter is the perfect light golden shade - which would be suitable for so many skin tones. It really is a blinding highlight and not for those that want something subtle. The formula is extremely silky - but not as buttery smooth as a BECCA highlighter for example. The pigment is really there, and it even builds up for the most extreme glow.